Polyurethane systems are particularly noteworthy for their ability to bond dissimilar substrates and their superior gap filling properties.Polyurethane compounds were developed by E-linking to solve design, manufacturing and repair/maintenance applications across a broad range of industries. They are especially useful when strength, flexibility, abrasion resistance, fast curing and chemical resistance properties are needed. Two component polyurethane adhesives bond well to similar and dissimilar substrates including metals, plastics, composites, ceramics and rubbers. They are often used to bond substrates with different CTE's exposed to temperature cycling. Due to their superior cohesive strength properties they are employed in numerous lightweighting applications. This has enabled manufacturers of aircrafts, autos, trucks, boats, locomotives, mining equipment to improve energy efficiency and lower customer expenses. 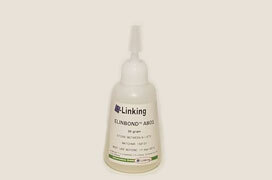 E-linking two component polyurethane adhesive systems have versatile cure schedules at room and elevated temperatures. These compounds are available for use in low, medium and gap filling thixotropic paste viscosities. 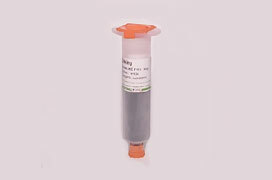 Free flowing grades are ideal for potting and encapsulation. High tech structural adhesive systems avoid clamping and accelerate production speed. These products can be applied with manual applicators or meter mix dispensing equipment.